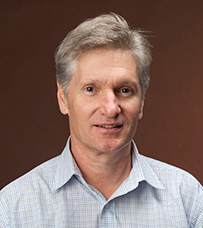 Dr Warren Bartik's research interests include Suicide Bereavement, Youth Suicide, Early Psychosis and Suicide, Rural/Remote Mental Health, Service Delivery. Bartik, W., & Barton, R. (2015). Collaborative research for rural mental health makes minds matter. Guest Editorial. Advances in Mental Health, 13(1): 1-6. Bartik, W., Maple, M., & McKay, K. (2015). Suicide bereavement and stigma for young people in rural Australia: a mixed methods study. Advances in Mental Health, 13(4): 84-95. Bartik, W., Maple, M., Edwards, H., & Kiernan, M. (2013). The psychological impact of losing a friend to suicide. Australasian Psychiatry, 21(6), 545-549. Bartik, W., Maple, M., Edwards, H., & Kiernan, M. (2013). Adolescent survivors after suicide: Australian young people's bereavement narratives. CRISIS Journal of Crisis Intervention and Suicide Prevention, 34(3), 211-217. Bartik. W. (2011). Introduction to suicide essay in Hope: An anthology of speculative fiction to help raise suicide awareness. Sasha Beattie (Ed). Kayelle Press. Bartik, W., Dixon, A.,& Dart, A. (2007). Aboriginal child and adolescent mental health: a rural worker training model. Australasian Psychiatry. April 15 (2):135-9 17464657. Bartik. W, & Dixon. A. (2005). Aboriginal and Torres Strait Islander mental health training opportunities in the bush. Auseinetter. Issue 24 (August) No2 / 2005. Bartik. W. (2003).Towards a collaborative work model – The brave new world. Balance – Journal of Mental Health Council QLD. Kowalenko. N., Bartik. W., Whitefield. K., & Wignall. (2003). Staff Support Model for Rural Mental Health Staff. Australian Psychiatry, 11(1), 110-116. Bartik. W., Maple. M., & Massey. P. (2001). Youth Friendly Assessment Tool. New England Area Health Service. State Publication No. 010218. ISBN 0 7347 337 1. Bartik. W., Kowalenko. N., Whitefield. K., & Wignall.A. (2001). Youth Studies Australia –v.20, n.3, Anxiety & depression in young people – a collaborative rural/remote model.